Events and symptoms in the details are now separate lists. 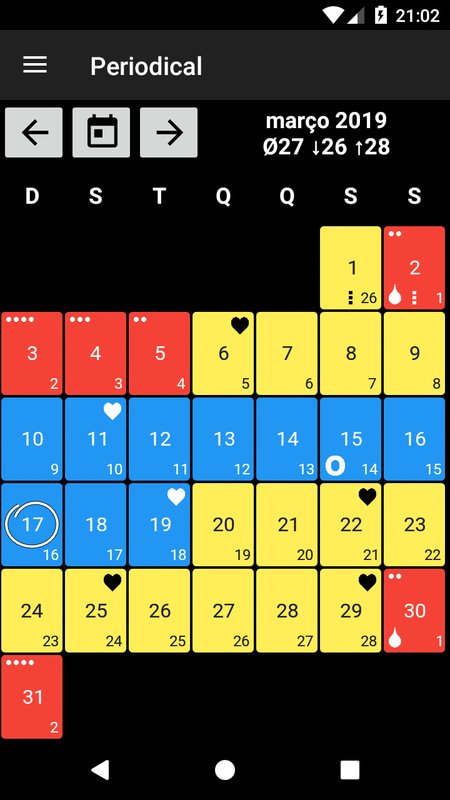 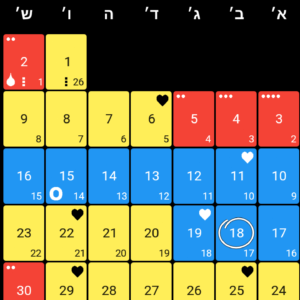 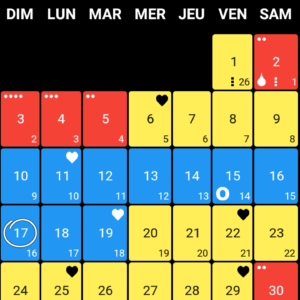 The calendar now indicates if there are events, symptoms or notes for a specific day. With this version there are no less than 13 languages available (soon it will be 14). Thanks to all translators and developers at Crowdin and Github for their contributions! To visualize the number of languages – see the main view in all supported languages. 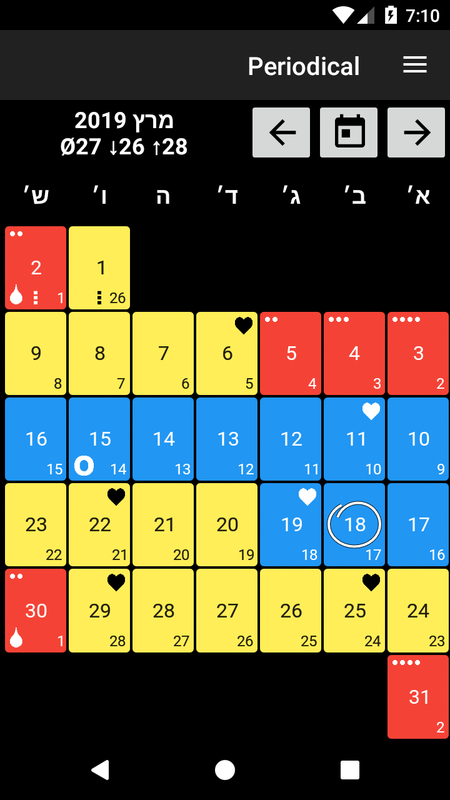 Update 2019-03-19: The next update will also support Hebrew. Therefore I decided to include this in the list of screenshots as well.